Old jam jars need not be thrown out into the recycling waste when there are so many ways to recycle them at home. Over at Think Money they have created a list of 101 things to do with a jam jar as part of their Jam J-art campaign to show you different things you can do with an empty jam jar. We were sent a jam jar a wee whiley ago which Molly and I have used to create a personal Valentine's day gift for my husband. Molly got busy with some drawing as she has recently discovered the delights of crayons and loves nothing more than making artistic(!) creation on paper, the floor, books etc. Once she had finished her latest creation I used my Sizzix Big Shot machine to create a flower using her scribbles. This machine is a great creation for arts and crafts and has been used so often since I bought it to make my wedding cards. To make the flower I used the 3-D flower die using her drawing as the paper to be cut. As you can see the colouring-in is on the outside of the flower (maybe this would have been better on the inside so you can see it easier? I then glued a heart button on the middle. I then went about creating the design using Sharpie pens. I put the message "Happy Valentine's" round the upper part if the jar and then drew some images that I knew my husband would love. There were hearts, for obvious reasons. It is Valentine's day after all so hearts have to be included in there somewhere! Further round I drew some Bumble Bees flying from their hive. I chose this has when I was pregnant with Molly we called her Bumble so we have had a great love of all things Bumble Bee since then. Since this was from Molly it was also a lot more sentimental. The third part of the design was the obvious No. 1 Daddy, because that is exactly what he is to her. 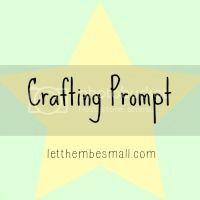 Have you ever used jam jars for craft? What did you make? For more Jam J-art ideas visit their Pinterest board . I have never used a jam jar for crafts! I reuse to store things like baking powder and custard powder in. And when I attempt my own jam and lemon curd. But I can imagine getting the toddler involved in this and creating a sweetie jar for daddy! Aww what a great idea! I'm sure hubby loved it!! Such a sentimental gift! I'm away to check out the link as we have heaps of jam jars! !